On the night of July 26, 1976, Henry Lee Phillips was operating an Amoco service station near Crawfordsville, Georgia, with his eleven-year-old stepson, Bonnie Bulloch, helping him. A car pulled into the station with three occupants: Judson Ruffin, Nathan Brown and Jose High. High got out and pointed a pistol at Henry's face, demanding money. Ruffin had a sawed-off shotgun. After the cash register was cleaned out, Henry told him that there was no more money, and he was then put into the trunk of the car. Bonnie rode in the passenger compartment. Henry got in the trunk of the car and when he was released from the trunk found that they were in the woods. Henry and his stepson were marched around to the front of the car and ordered to lie on the ground. Henry then heard shots fired. When Henry regained consciousness he discovered that the boy was dead. In his confession, Ruffin stated that he shot the boy in the head while his cohorts also shot at the victims. Henry had been shot in the temple and wrist, but managed to get to a nearby house, where police were called. High and his two accomplices planned the armed robbery on the night in question with the express purpose of eliminating any witnesses to the crime. At trial, Henry Phillips positively identified High as being one of the three persons who robbed the gasoline station and subsequently shot him and his stepson. High showed no remorse for the killing, but rather bragged that he "wanted to be the most famous black ringleader in the world." High v. State, 276 S.E.2d 5 (Ga. 1981) (Direct Appeal). High v. Georgia, 455 U.S. 927, 102 S.Ct. 1290, 71 L.Ed.2d 470 (1982) (Cert. Denied). High v. Zant, 300 S.E.2d 654 (Ga. 1983) (State Habeas). High v. Georgia, 104 S.Ct. 2669 (1984) (Cert/. Denied). High v. Kemp, 623 F.Supp. 316 (D.C. Ga. 1985) (Habeas Granted). High v. Kemp, 819 F.2d 988 (11th Cir. 1987) (Habeas Reversed). High v. Head, 209 F.3d 1257 (11th Cir. 2000) (Habeas). Three cheeseburgers, two fried chicken breasts, one large order of french fries, two slices of white bread, two soft drinks, and a slice of bean pie. Jackson - Jose High, 45, is scheduled to be executed by lethal injection at 7:00 p.m. Tuesday at the Georgia Diagnostic & Classification Prison in Jackson. High has requested a last meal consisting of three cheeseburgers, two fried chicken breasts, one large order of french fries, two slices of white bread, two soft drinks, and a slice of bean pie. Five media witnesses have been selected by the Georgia Association of Broadcasters, the Georgia Press Association, and the Associated Press. They are Sandy Hodson of the Augusta Chronicle; Rhonda Cook of the Atlanta Journal-Constitution; Tom Campbell, WRDW-TV in Augusta; Jon Lewis of WSB Radio in Atlanta and Erin McClam of the Associated Press. Media will be allowed onto the prison grounds in the media staging area beginning at 11:00 a.m. on Tuesday. For further questions, please contact the Department of Corrections Public Affairs Office at 404-656-9772. 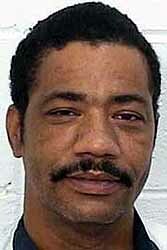 Execution Date Set for Jose High, Death Row Inmate Convicted of Taliaferro County Murder. Atlanta, Georgia -- Following the latest denial of appeals by the courts, a new window of execution has been ordered for convicted murderer Jose Martinez High, 45. The Taliaferro County Superior Court has set the window between the days of November 6 and November 13, 2001. Corrections Commissioner Jim Wetherington has arranged the execution, which will take place by lethal injection at the Georgia Diagnostic and Classification Prison in Jackson, Georgia, for 7:00 p.m. on Tuesday, November 6, 2001. On July 26, 1977, High was one of three men who robbed and kidnapped Henry Phillips and his 11-year-old stepson Bonnie Bulloch from a Taliaferro County service station. High shot both execution-style as they lay face down on the ground. The 11-year old died and the stepfather survived. High was convicted of murder, kidnapping, armed robbery and aggravated assault and sentenced to death in December, 1978. Execution On October 17, 2001, the Superior Court of Taliaferro County filed an order setting the seven-day window in which the execution of Jose Martinez High could occur to begin at noon, November 6, 2001 and end seven days later at noon on November 13, 2001. The Commissioner of the Department of Corrections set the specific date and time for the execution as 7:00 p.m., November 6, 2001, pursuant to the discretion given the Commissioner under state law. High had previously concluded his direct appeal as well as two state and two federal habeas corpus proceedings. The scheduled execution of High was carried out at approximately 8:07pm on Tuesday, November 6, 2001. On July 26, 1976, Jose High, Nathan Brown and Judson Ruffin, robbed a service station off I-20 near Crawfordville, Georgia. After taking money from the cash register, they forced the operator of the station, Henry Lee Phillips, to get in the trunk of their car and put his 11-year-old stepson, Bonnie Bulloch, in the back seat. The 3 men drove Phillips and Bulloch to a remote area. As they rode to the area, the 11-year-old was taunted with threats that he was going to die and the child begged for his life. Upon reaching a deserted wooded area, Phillips was released from the trunk and he and Bulloch were ordered to lie on the ground. Phillips heard shots and was rendered unconscious. Upon regaining consciousness, Phillips found his stepson dead from a bullet wound to the head. Phillips suffered a gunshot wound to the head and wrist, but miraculously survived and got to a house for help. Phillips was later able to identify High, Ruffin and Brown. High was arrested in Richmond County on other charges and later confessed to the murder. High was indicted by the grand jury of Taliaferro County, Georgia, on charges of murder, two counts of kidnapping with bodily injury, armed robbery, possession of a firearm during the commission of a crime and aggravated assault. High was also charged with other offenses in Richmond County, Georgia. Prior to trial in Taliaferro County, High filed a motion to suppress in Richmond County challenging his arrest and subsequent statements. The Court of Appeals of Georgia reversed the granting of the motion to suppress by the trial court, declined to rule on the admissibility of any confession and found the arrest to be legal. State v. High, 145 Ga. App. 772, 244 S.E.2d 888 (1987). High was not tried for the Richmond County offenses. High was convicted by a jury in the Superior Court of Taliaferro County, Georgia, for murder, two counts of kidnapping with bodily injury, armed robbery, possession of a firearm during the commission of a crime and aggravated assault. On December 1, 1978, High was sentenced to death for the murder and armed robbery and both counts of kidnapping with bodily injury. The Direct Appeal - The Supreme Court of Georgia affirmed the convictions for armed robbery, murder and the two counts of kidnapping with bodily injury, but vacated the convictions for possession of a firearm and aggravated assault because those crimes merged into the crimes of armed robbery and kidnapping with bodily injury. The Court also affirmed the death penalty for the offense of murder and for the kidnapping with bodily injury of Bonnie Bulloch, but vacated the death sentences for armed robbery and for the kidnapping with bodily injury of Henry Lee Phillips. A petition for a writ of certiorari was denied on January 25, 1982. High v. State, 247 Ga. 289, 276 S.E.2d 5 (1981), cert. denied, 455 U.S. 927 (1982). First State Habeas Corpus - High filed a petition for a writ of habeas corpus in the Superior Court of Butts County, Georgia which was denied on September 10, 1982. The Supreme Court of Georgia subsequently granted an application for a certificate of probable cause to appeal and then affirmed the denial of habeas corpus relief. High v. Zant, 250 Ga. 693, 300 S.E.2d 654 (1983) The Supreme Court of the United States denied a petition for a writ of certiorari was denied on May 29, 1984, and denied rehearing on August 2, 1984. High v. Zant, 467 U.S. 1220, reh'g denied, 468 U.S. 1224 (1984). First Federal Habeas Corpus - High filed petition for a writ of habeas corpus in the United States District Court for the Southern District of Georgia, and on November 19, 1985, that court entered an order granting habeas corpus relief as to the sentencing phase based upon the charge on mitigating circumstances and denying relief as to the remainder of the allegations. High v. Kemp, 624 F.Supp. 316 (S.D. Ga. 1985). On June 4, 1987, the United States Court of Appeals for the Eleventh Circuit affirmed the decision of the district court insofar as it denied habeas corpus relief, but reversed the district court’s decision granting relief as to sentence and found that relief should be denied as to all allegations. The Court also denied a petition for rehearing and suggestion for rehearing en banc. High v. Kemp, 819 F.2d 988, reh'g denied, 828 F.2d 775 (11th Cir. 1987). High then filed a petition for a writ of certiorari in the Supreme Court of the United States asserting that imposing the death penalty on him would be cruel and unusual punishment because he was allegedly under 18 at the time of the offense. On June 30, 1988, the Court granted certiorari limited solely to the question of the imposition of the death penalty upon High based upon his age. High v. Zant, 487 U.S. 1233 (1988). The State filed a suggestion of mootness based upon newly obtained information indicating that High was, in fact, not 17 at the time of the offense but was 19. The Court did not decide the issue of High’s age but held the case pending decisions in other cases involving the age of an individual and the imposition of the death penalty. On July 3, 1989, the Court entered an order vacating its prior order and denying certiorari. A subsequent motion for rehearing was denied on August 30, 1989. High v. Zant, 492 U.S. 926, reh'g denied, 492 U.S. 937 (1989). Motion for Relief from Judgment in Federal Habeas - On or about June 23, 1989, High filed a motion in the United States District Court, Southern District of Georgia, for relief from judgment under Rule 60(b)(6) of the Federal Rules of Civil Procedure. On September 14, 1989, the district court entered an order denying the motion. On October 23, 1990, the Eleventh Circuit Court of Appeals affirmed the decision of the district court denying the motion for relief from judgment. High v. Zant, 916 F.2d 1507 (11th Cir. 1990). A petition for rehearing was denied on November 20, 1990. The Supreme Court of the United States denied a petition for a writ of certiorari on April 1, 1991, and denied rehearing on May 20, 1991. High v. Zant, 499 U.S. 954, reh'g denied, 500 U.S. 938 (1991). Second State Habeas - On May 21, 1991, High filed a second state habeas corpus petition in the Superior Court of Butts County, Georgia. A hearing was held on September 9, 1991, limited to the issue of a filmed “interview” of High. On March 8, 1994, the state court dismissed the petition as successive. The Supreme Court of Georgia denied an application for a certificate of probable cause to appeal and denied a motion for reconsideration on May 19, 1995. The Supreme Court of the United States denied High’s petition for a writ of certiorari on January 8, 1996. Second Federal Habeas - High filed a second federal habeas corpus petition in the United States District Court for the Southern District of Georgia on April 23, 1996. On July 24, 1998, the district court denied the petition. High v. Turpin, 14 F.Supp.2d 1358 (S.D. Ga. 1998). The Eleventh Circuit Court of Appeals affirmed the denial of relief on April 20, 2000, and denied rehearing on July 5, 2000. High v. Head, 209 F.3d 1257 (11th Cir. 2000). The Supreme Court of the United States denied High’s petition for a writ of certiorari on March 5, 2001. State Stay Pending Decision on Electrocution - On March 21, 2001, the Georgia Supreme Court stayed the scheduled March 27, 2001 execution of High “until [the Georgia Supreme Court] addresses whether death by electrocution violates the Eighth Amendment prohibition against cruel and unusual punishment.” On October 5, 2001, the Georgia Supreme Court found electrocution to be unconstitutional under the Georgia Constitution and directed that future executions be carried out by lethal injection. Accordingly, on October 17, 2001, the Superior Court of Taliaferro County filed an order setting the seven-day window in which the execution of Jose Martinez High may occur to begin at noon, November 6, 2001 and end seven days later at noon on November 13, 2001. In the late evening hours of July 26, 1976, Henry Lee Phillips was operating an Amoco service station near Crawfordsville, Georgia, with his eleven-year-old stepson, Bonnie Bulloch, helping him. A car pulled into the station with three occupants. Judson Ruffin, Nathan Brown and Jose High, were in the car. The car had been in the station a week or two earlier. The three men got out of the car and High pointed a pistol at Henry's face. Ruffin had a sawed-off shotgun. Henry was forced to leave the booth while Ruffin removed the money from the register and demanded any other money. When Henry told him that there was no more money, Ruffin grabbed Bonnie Bulloch and told Henry to get in the car trunk or Henry and the boy would be killed. Bonnie rode in the passenger compartment of the car. Henry got in the trunk of the car and when he was released from the trunk found that they were in the woods. Henry and his stepson were marched around to the front of the car and ordered to lie on the ground. Henry then heard shots fired. When Henry regained consciousness he discovered that the boy was dead. In his confession, Ruffin stated that he shot the boy in the head while his cohorts also shot at the victims. Bonnie was only 4 1/2 ft. tall and weighed only 70 lbs. Henry had been shot in the temple and wrist. He managed to get to a nearby house and the sheriff was summoned. The three returned to Augusta and were subsequently apprehended. The evidence shows that High and his two accomplices planned the armed robbery on the night in question with the express purpose of eliminating any witnesses to the crime. High, in his statement, said he thought the boy was too young, but he kept asking him as they rode, "Are you ready to die? Do you want to die? Well, you're going to die." He stated that Bonnie was begging for his life. At trial, Henry Phillips positively identified High as being one of the three persons who robbed the gasoline station and subsequently shot him and his stepson. JACKSON (AP) - A man convicted of murdering an 11-year-old boy during a 1976 gas-station robbery was executed Tuesday, the state's second lethal injection in two weeks. Jose Martinez High, 45, was pronounced dead at 8:07 p.m., prison officials said. In a defiant final statement, High said he never fired the shot that killed 11-year-old Bonnie Bulloch. Two other men who also took part are serving life prison terms. ''I did not kill that little boy,'' he said. ''I could not hurt a child.'' High also said the death penalty is racist and biased against the poor. ''Poor people are on death row, and the death penalty is racist to the core. That's it,'' he said before the lethal injection began. High, an Augusta native, was convicted of fatally shooting Bulloch in a 1976 gas-station robbery in Taliaferro County. The boy and his stepfather, who ran the gas station, were forced to lie on the ground and each was shot in the head and left for dead. The stepfather survived and later identified High as the gunman. He was convicted in 1978. The execution is the second since the state Supreme Court threw out the electric chair last month, shifting all executions to lethal injection. A third man, Fred Marion Gilreath Jr., is scheduled to die Nov. 14. High's execution leaves 125 inmates -- 124 men and a woman -- on Georgia's death row. At 6:40 p.m., the U.S. Supreme Court entered an order denying a petition and an application for a stay of execution. Technicians had trouble finding a suitable vein in High's arms to deliver the chemicals. Doctors made a small incision in his chest and used a vein there as a substitute. A lethal sequence of three chemicals was pumped into High's body through intravenous lines to take his life -- the sedative sodium pentothal first, followed by Pavulon to paralyze his lungs, and potassium chloride to stop his heart. As the execution began, High rolled his head to his left and called out something unintelligible to witnesses. He blinked his eyes repeatedly, struggling to keep them open, and his eyes appeared to water. High opened his mouth to speak again but no words came out. He yawned, moved his head slightly to the left again, and lay motionless until the warden announced his death. As part of his last words, High addressed the boy's mother, Hazel Phillips, who was on prison grounds but did not witness the execution. ''I'm sorry about your kid, Mrs. Phillips,'' he said. ''My life is a poor substitute for your son. I know how it is. Death is a universal process.'' Phillips, speaking with reporters after the execution, said High was lying when he denied firing the fatal shot. ''I really hope that God forgave him,'' she said. ''I really hope someday that I will have the strength to do that.'' Outside prison grounds, about 30 death penalty opponents held a candlelight vigil, forming a circle as the execution took place inside. Similar peaceful protests were held in other cities throughout the state. In Georgia, Jose Martinez High was put to death for killing an 11-year-old boy during a 1976 gas station robbery. Before High, 45, was executed at the state prison in Jackson, south of Atlanta, he denied killing Bonnie Bulloch. "I did not kill that little boy," he said. "I could not hurt a child." According to court papers, High taunted the boy, saying, "Are you ready to die?" as Bulloch begged for his life during the robbery in Taliaferro County. The boy and his stepfather, who ran the gas station, were forced to lie on the ground and each was shot in the head. The stepfather survived and later identified High as the gunman. He was convicted in 1978. Jose High is scheduled to be executed in Georgia on 6 November 2001 for a murder committed in July 1976 when he was a teenager. He has been on death row since 1978, well over half his life. He has been diagnosed as having serious mental illness and borderline mental retardation. Jose High was convicted of the murder of 11-year-old Bonnie Bolloch, white. Bolloch and his stepfather, Henry Phillips, were abducted by three assailants during a robbery of the petrol station where Phillips worked. The victims were driven to an isolated location and shot. Henry Phillips survived and testified against Jose High and his two co-defendants, Nathan Brown and Judson Ruffin. All three were sentenced to death, but the convictions against Brown and Ruffin were overturned on a legal issue on appeal. They subsequently pled guilty in return for life sentences. Since the trial, three mental health experts have said that Jose High suffers from 'a major mental illness with psychotic features', 'a seizure disorder', 'significant brain damage' and 'borderline intellectual functioning'. In affidavits, they give their opinion that he suffered from such disorders at the time of the crime, as well as before and after it. The experts also reviewed Jose High's videotaped 'confession' to the police. They state that it clearly shows his mental illness, indicates that he was manipulated by the police during questioning, and calls into question the extent of his role in the crime. For example, one of the affidavits states: 'The videotape contains evidence that Jose High did not commit the crime for which he was convicted, ... that he did not knowingly, voluntarily, and intelligently waive his rights [to remain silent and have a lawyer present], ... that he is out of touch with reality, ... that the police are controlling him ...'. The video was not disclosed to the defense at the time of the trial and only came to light in 1991. In prison, Jose High has been diagnosed with schizoaffective and depressive disorders. His medical records over the years reveal that, despite being given powerful medication, he has suffered visual and auditory hallucinations, as well as seizures and suicidal ideation. The jury heard no mitigating evidence at the sentencing phase of the trial because Jose High's lawyer presented no expert or other witnesses. Several of the jurors have recently signed affidavits in support of clemency. One recalls: 'I could not be sure from the evidence presented to me which of the three defendants had actually shot and killed 11-year-old Bonnie Bolloch .' Another states: 'It was my impression... that Mr High was slow - I mean that he had some mental problems and should be in the hospital... I also believed that because of his mental problems, Mr High probably took more of the blame for what happened that he should have...'. A third juror states: 'I can see no purpose in executing Mr High... when his co-defendants will never face such punishment themselves.' She also recalls that 'some of my white fellow jurors had already made up their minds about what should be done to Jose High. I could feel their tension and racial bias...'. At the trial, High's date of birth was given as 19 August 1958, which would have made him 17 at the time of the murder. International law prohibits the use of the death penalty against defendants who were under 18 at the time of the crime. Since the trial, the Georgia authorities have stated that High's birth certificate gives his birth date as 19 August 1956, in which case he was 19 years old in July 1976. The issue remains a disputed one. The UN Commission on Human Rights has repeatedly urged retentionist countries 'not to impose the death penalty on a person suffering from any form of mental disorder or to execute any such person'. The US organization, the National Alliance for the Mentally Ill takes the position that 'the death penalty is never appropriate for a defendant suffering from schizophrenia or other serious brain disorders'.